One Tree Hill mountain bike ride. This MTB trail is part of the Canberra Centenary Trail. And it's awesome. One Tree Hill, Mountain bike Ride, ACT. One Tree Hill Mountain Bike Ride. 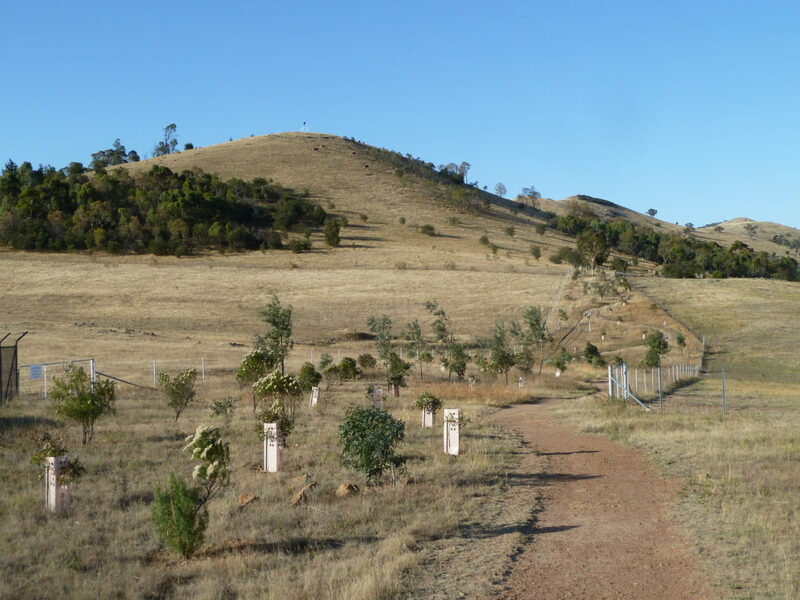 One Tree Hill mountain bike ride is one section of the 145km Canberra Centenary Trail. I started my mountain adventure from Hall, Hall Street. If you see a big Canberra Centenary Trail sign you’ll know your in the correct spot. There’s a nice MTB single trail that leads all the way to the top of One Tree Hill. Well you mightn’t think it’s that nice as it’s a bit of a lung burner. You’ll reach an altitude of just over 800m. Not should at what altitude a hill becomes a mountain. But this must be close to being called One Tree Mountain. The track is awesome as it runs on the mountain ridge and you get excellent view across Canberra. After a good climb you get the reward of an excellent downhill run. Well more downhill then uphill from this point. There is also a climb to the top of Oak Hill and another downhill ride after that. It’s a lot of run and very scenic. The trail is shared with trekkers so keep your eye out for anyone walking this track. ed when I arrived at sunset. 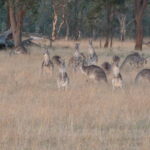 I’m a Sydney boy so I always get a thrill out of seeing roo’s. It’s not a bad idea to take a MTB buddy with you so you can do a car shuffle. If not you have a choice of heading back over Oak and One Tree Hill or taking the bike path through the suburbs to Hall. I’d rather do a loop then an out and back ride. So I choose the bike path which was a nice enough ride. This was a great mountain bike trail suited for intermediate riders. I rated it 5 stars. Directions to One Tree Hill. Google Map Link. From Canberra head up the Barton Hwy and take the turn off to Hall. Drive to the end of Hall St and your there. 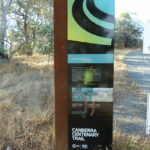 There is a large Canberra Centenary Trail sign to mark the start of the One Tree Hill trail. One Tree Hill Mountain Bike Ride Map. One Tree Hill Photo Gallery. One Tree Hill youtube clip.